Pack of 5 or 25 x 50mm hexagonal (hex) black plastic bases. Optional cut out slot. 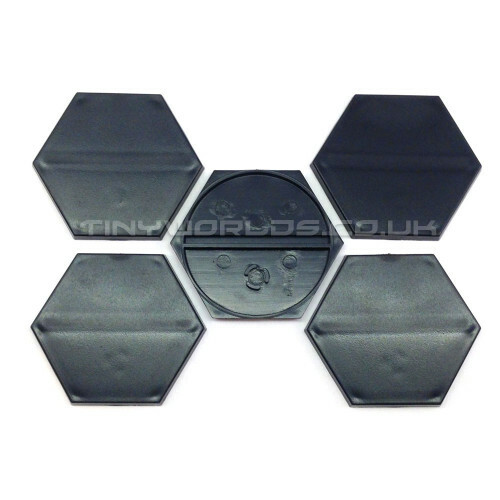 Perfect for replacing missing bases for your wargames miniatures.